The Bellevue Estate wine is available for tasting at The Bahn – a Bistro and Wine Bar on the Main Street of McLaren Vale. 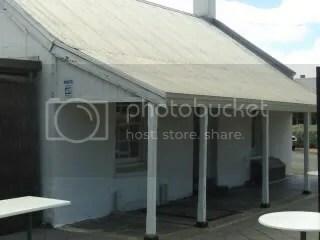 The Bahn is a resturant is a location of note in McLaren Vale – with one if it’s features being a “Cellar Door” where the cellar contains a large selection of wines from McLaren Vale boutique wineries. The Bahn is owned by Ben & Bev Vandeleur. The Bahn looks like a great place to eat and the “Cellar Door” caters to most wine styles. 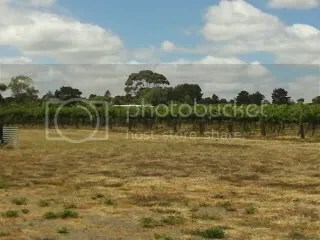 Discussing the wine available for tasting at The Bahn indicated that Ben’s brother, Corey, makes wine from his vineyards (2 x 5 acre blocks) between Main Road (across from the McLaren Vale Information Centre) and Caffrey Street (next to the McLaren Vale Hotel). The vineyard is planted with Shiraz. The grapes are hand picked, crushed and basket pressed at the vineyard. The wine sells for $18/bottle, or $30/2 bottles and $150/dozen. The wine is true to variety but is not exceptional when compared to a lot of other McLaren Vale wines. However, at the price point it is value for money and the classical plum, black fruits that are on the palate means the wine is worth trying with pasta dishes when coupled with tomato based sauces. Hold the bus ……… this wine is a large step up from the 2007 Shiraz. As they are self-sufficient Corey was able to pick the wines the day before the 2008 heat wave hit McLaren Vale. The bottle I tasted was only bottled the previous week so it is quite possible the wine will be even better when allowed to overcome bottle shock for a couple of months. The plum and blackberry characters are well balanced with the oak and the natural acids – they all produce a wine with a mouthful of a textural wine. This wine is one to check out when the bottling shock has settled as at this time it looks like they have hit the right notes. I would enjoy this with slightly chared BBQ’d meats. 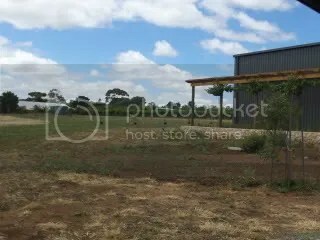 This entry was posted in Mclaren Vale, wine and tagged McLaren Vale Wine, Shiraz, Small Producer, wine, wine McLaren Vale. Bookmark the permalink.